Researchers at the University of Sussex and Swansea University, who obviously didn’t take the warnings of Terminator 2 seriously enough, have developed liquid metal which can take on the form various 2D shapes. Utilizing a series of electrical charges, the liquid metal can be manipulated to transform itself, with the scientists having coaxed it into taking the shape of letters and a heart. Though taking the form of 3D shapes is still a while off, the team believes that the technology is extremely promising and may usher in a new wave of “soft robotics” and shape-changing displays. The electrical field needed to shape the liquid is created by a computer, meaning that the metal can be programmed and controlled dynamically. This means that reactions can be pre-programmed, or the computer can take direction on the fly and shape the metal as needed in response to user input or environmental conditions. 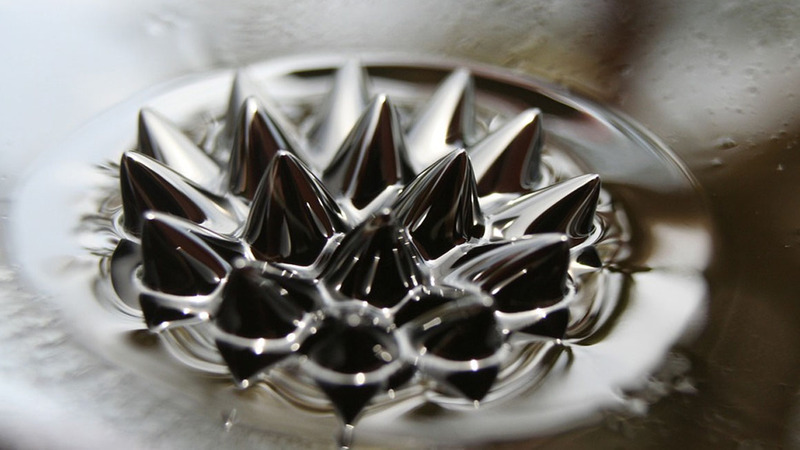 These aren’t the only applications though, as recent experiments with liquid metal have revealed a new class of materials. Researchers at RMIT University in Melbourne, Australia were able to utilize liquid metal to create 2D structures just a few atoms thick. Detailed in their publication in Science, the researcher’s dissolved metals in liquid metal to create extremely thin oxide layers. These oxide layers were then extracted and can be used to then make any number of electronics. Given their thinness (only a few atoms thick) it means that liquid metal may be key to creating electronics that are not only faster but use far less power too. So whether it’s a liquid-metal display or a phone that lasts for weeks on a single charge, you may have liquid metal to thank in the future.